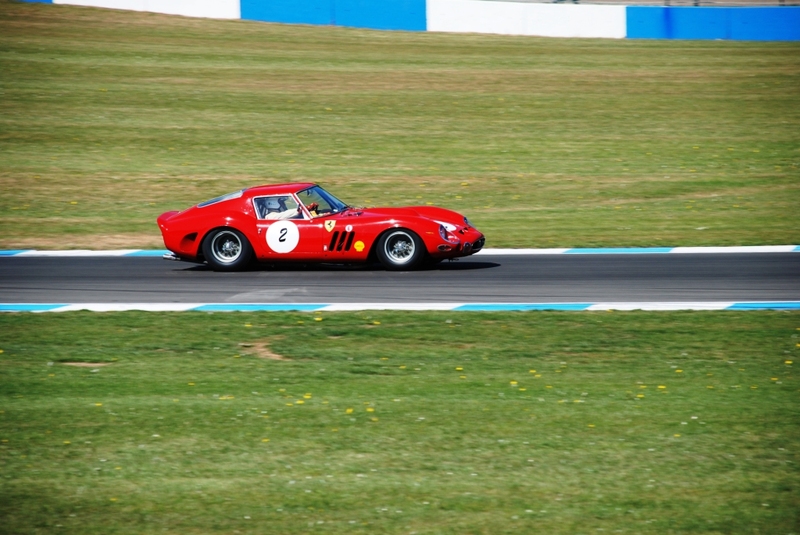 Donington Historic Festival: A review. Like many events such as these, I was not lucky enough to be local to the event, so I chose to attend on the Sunday only. I gave my other pair of tickets to Trevor Summers of Warwickshire for free for his valued comments and contribution to the website over the past few weeks. Trevor commented on the day in an email to me saying, “Just wanted to say thanks for the tickets for Donington. 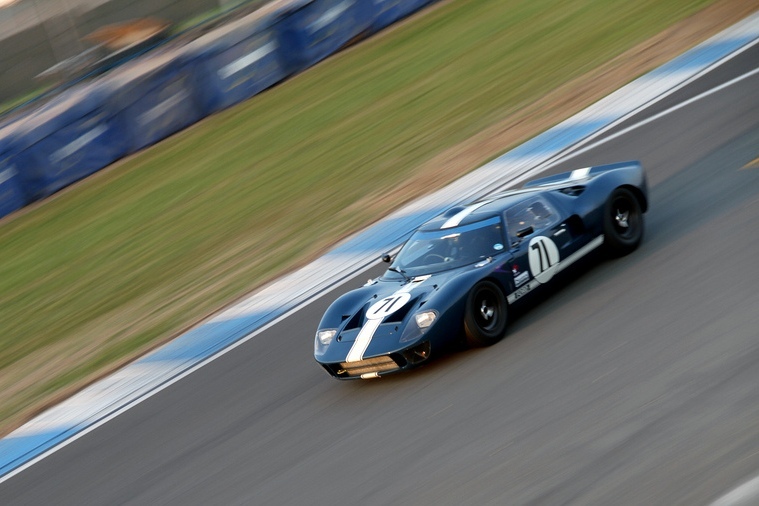 Had a great day, the cars were amazing and GT40’s were stunning as expected.” His pictures can be seen at: http://www.flickr.com/photos/tvr2/sets/72157626493317623/, with some very nice pictures of the Ford GT40 he like so much! Gates over the weekend were to open at 7.30am, so an early start was essential. It was also the first event I would be brave enough to take me 4 year old boy. Fingers crossed he would like it and not get bored, which would have made for a very challenging day. So our 2.5 hour journey was done in no time, with a well thought our play list on the ipod, which the boy was controlling. I had to stop Living on a Prayer by Bon Jovi being played after 4 straight times, that was enough, but you know what children can sometimes by like. We arrived at Donnington at about 10.00, a little late I suppose, but personally I was not that interested in the first two qualifying sessions: “Stirling Moss Trophy for pre-61 sports cars” and “JD Classics Challenge (Group A Touring Cars)”. We took the whole day in a relaxed manner, checked out all the stands selling sports memorabilia, photos, tools, watches, toy cars, etc., first, then sat down to watch our first race: “FIA Lurani Trophy for Formula Junior Cars”, then “Pre-63 GT”. The Pre-63 GT was my favourite race, with so many great cars. I have lots of photos, but these I will post in a separate post, suffice to say Ferrari 330 GTO, Aston Martin DB4, Jaguar E-Type, Ferrari 250 SWB, Ferrari 250 SWB Berlinetta, Porsche 356A and more. We then took time to tour the pits. You can get really close to the cars, in the actual garage where many of the cars have their bodywork removed whilst having final checks. We spoke with many of the drivers, and some of the questions from my boy had for them were pure gold, “Is it faster than a Ferrari?”, “Is it faster than an Airplane?” and last but not least, “Is it faster than Superman?”. The chats’ with the drivers were all insightful and most people were only too willing to talk about their passion, racing sports cars. We were looking at what looked like old (say 1970s) Formula 1 cars, but were actually Formula Atlantic cars, when the driver asked if my boy wanted to sit in the car, suffice to say he jumped at the chance. I then spoke to the gentleman driver, who later introduced himself as Chris Sharples, Chairman of the HSCC (Historic Sports Car Club). He was very happy to discuss what it is like racing these great cars. The car he drives costs circa £20,000 when he bought it, and when he sells, he believes he will get £45,000, that’s a nice profit. These cars were to race at 15.20 in the “HSCC Historic F2 – Race 2”, Race 1 had already taken place on the Saturday. We watched a little of the race: “Stirling Moss Trophy for pre-61 sports cars”, mainly as I wanted to see the Jaguar D-Type racing. 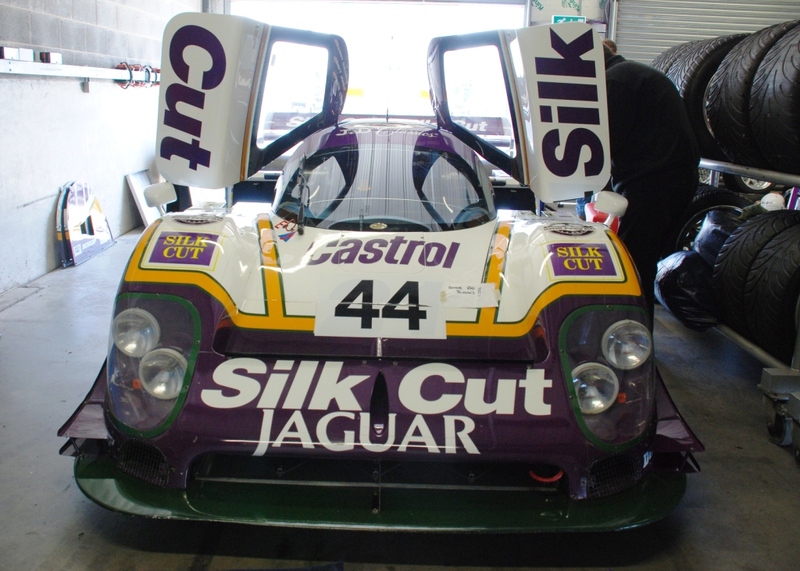 Next we went into the garage of the beautiful Le Mans Jaguars, namely the 1990 Jaguar XJR 11 and the 1987 Jaguar XJR 9. Now whilst in awe of this beautiful machines, I thought I would talk to the man next to me, as he looked to be heavily involved with the cars and team of crew working on the cars. I was speaking to Derek Hood of J.D Classics who owned the cars. We had a pleasant chat and he was very willing to answer all my questions. How much would these cars cost to buy? How much do they cost to run for the weekend? How many people work on these cars? 32 staff work on the cars, split between the race circuit and base. So there you have it, straight from the owner, Derek Hood. Thank Derek, it was a pleasure. So to the race, which would be the last one we watched on the day, the “Group C sports cars”, and I certainly was not going to miss these great cars. What a noise! Unfortunately the Jaguars did not win, but it is always great to see and hear these great cars close up. My boy by the end of this race was completely whacked out, so it was time to say goodbye to Donington. 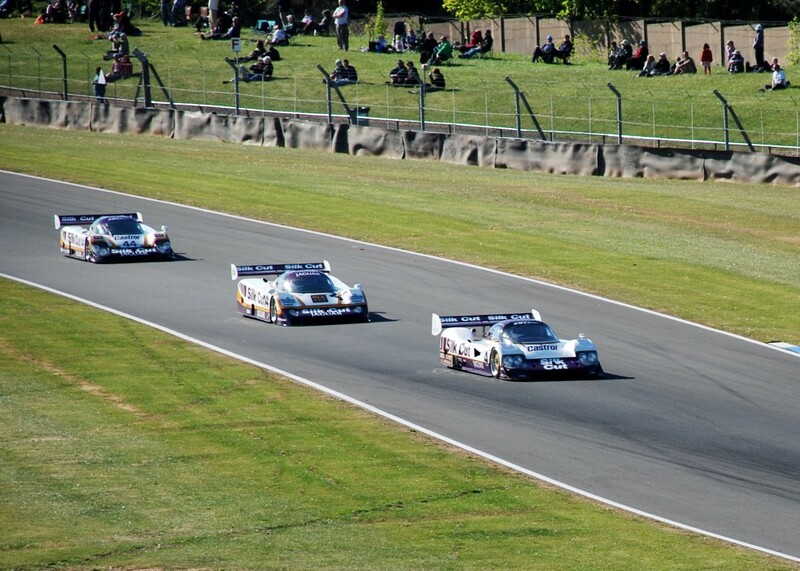 It was a good event, a lot smaller (say 5-10%) than Silverstone Classic or Goodwood Festival of Speed, but a great day out and I will certainly be going again. My boy got his toy Burago 1/18 Lamborghini Countach (1988) after his persistent asking. Finally to make the day complete, when we got into the car to drive home my boy said, “this was the best day ever daddy”, which any parent will emphasise, made me so very happy, and made a great day the best. 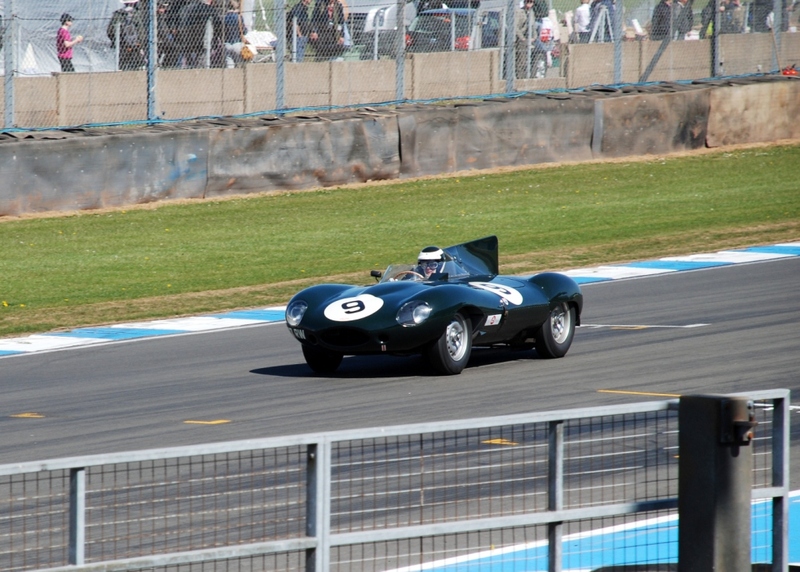 If you went to the Donington Historic Festival, what did you think of the event?